Thousands of properties are repossessed in the UK each year, usually as a result of mortgage arrears and bad debt. It is important to know the facts regarding house repossession as opposed to the myths and rumours spread by misinformed individuals and companies. This is a definite myth and there is a legal process that must be followed before any property can be repossessed. Lenders will usually try to come to some arrangement with borrowers before they will begin repossession proceedings. Borrowers who are in arrears with their mortgage will be informed by letter of the arrears in the first instance. Lenders will usually wait around two months before considering repossession and six months at the most. 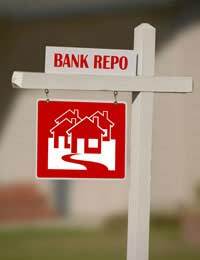 If a mortgage holder is in arrears they do have options to stop repossession proceedings. Repossessions are not automatic and explaining the arrears situation to a lender may bring about an appropriate solution. This could take the form of reduced or frozen payments for a period of time. The lender may also be able to restructure the mortgage period to allow for lower payments. Again this is another myth. A number of people will simply bury their heads in the sand if they have been ordered to appear in court for a repossession hearing. There is still time before a hearing to come to an arrangement with a lender. If a debtor does end up in court then the courts will listen to both sides of the case. Always obtain good legal advice before attending any court hearing. This is a definite myth although a debt collection may have said this as a scare tactic. Debt collection agencies have absolutely no power to repossess a property. The legal courts will need to be involved before any repossession can take place. If a debt collection agency has used this scare tactic they can be reported to the Office of Fair Trading. House repossession can be stopped right up to the eviction date if an agreement has been found between the lender and borrower. This can include paying off arrears, selling the property or some other debt restructuring method such as an IVA. Another option available that may stop repossession can include a sell to rent back scheme. This option may also include a clause where the seller can buy back the house at a later date. A number of people are under the assumption that if they hand back the keys to their home the matter will end there. This is not true and this option may end up with the lender chasing the debtor for any monetary shortfall from the sale of the house. Lenders can pursue debtors for payments for up to 12 years in the UK. In Scotland this time limit is reduced to five years. If you are going to court with the intention of stopping house repossession then having a solicitor is a wise option but is not always necessary. Taking professional advice will be beneficial and this can often be free. Contact the Citizens Advice Bureau as many of their offices run county court advice desks. These advice desks are specifically designed to provide information to homeowners who face repossession. This advice can be invaluable even at the last minute repossession stage. Due to the current economic climate house repossessions are increasing in the UK. According to the Council of Mortgage Lenders the number of homes that are likely to be repossessed in 2009 will be around 75,000. This is a record high for house repossessions in the UK that has not been seen since the recession of 1991. The number of house repossessions in 2008 topped off at 45,000. Homes are expected to see a decrease in value of around 18% in 2009, which is bad news for sellers. When faced with repossession proceedings many people understandably become stressed and worried. Taking advice from agencies such as the Citizens Advice Bureau should provide alternatives designed to stop house repossession. Homeowners should also research government support that is available to homeowners who are struggling with their mortgage payments.